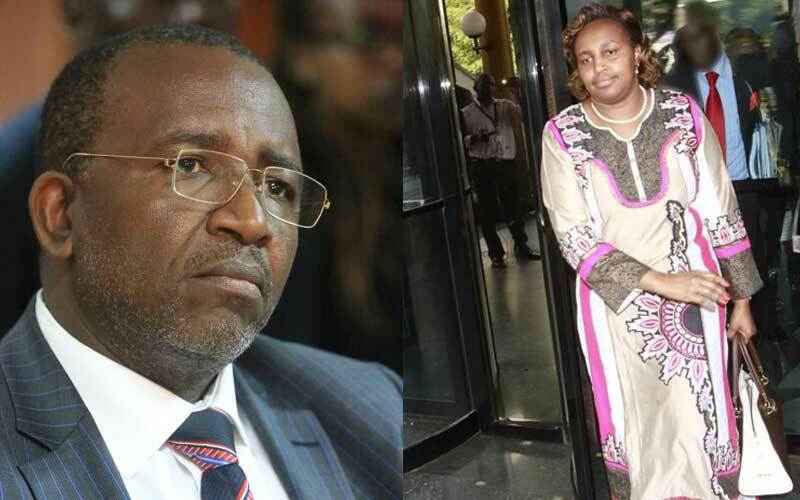 Home / Other Political News, Politics / Meru Senator MITHINKA LINTURI is a useless pig in bed – His wife MARIANNE KITANY confirms and embarrasses him badly!! Meru Senator MITHINKA LINTURI is a useless pig in bed – His wife MARIANNE KITANY confirms and embarrasses him badly!! Wednesday April 3, 2019-Meru Senator, Mithinka Linturi’s estranged wife, Marianne Kitany, has confirmed that her husband was a useless pig in bed and he couldn’t satisfy her sexually. In an affidavit filed in court on Wednesday, Kitany said that was one of the reasons they were having issues in their marriage. She also accused as a violent man and a wife batterer who used discriminative words towards their children, especially Kitany’s children. Kitany and Linturi both came to the union with three kids each from previous relationship. “He would buy gifts for his children to the exclusion of my own, take private trips for himself without any of the family,” she said. Through her lawyer Dunstan Omari, Kitany also asked Directorate of Criminal investigations (DCI) to charge the Senator with bigamy since he married her when he was in another serious relationship with another woman from Meru County. However, Linturi has denied the accusations saying he bonds well with all his children and his wife is just destroying his good political reputation.